Last week Grace turned 10. I’m not sure how my ‘baby’ reached double figures quite so quickly, but it appears she has suddenly transformed into a lovely grown-up little lady right in front of our eyes! 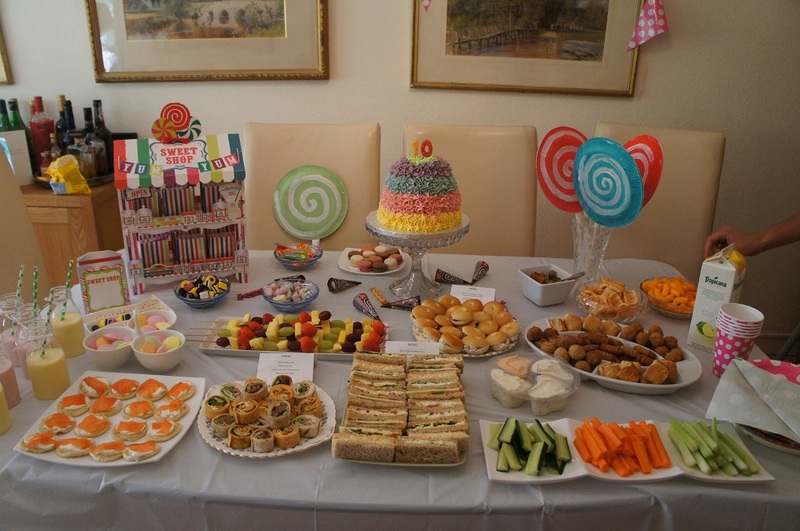 She decided this year that she wanted a Candy Land themed birthday party so I immediately headed over to Pinterest (where else would you find the pretty?!) and started pinning all things candy. She’s not hugely into pretty and pink, but we decided to go with a pale pink and green polka dot theme with a few rainbow stripes thrown in for good measure. 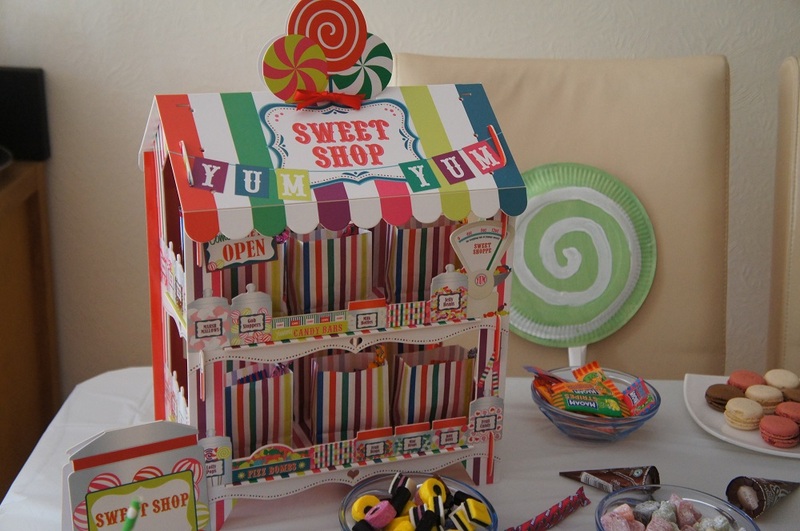 I found loads of pretty things and spent a fortune on the Party Pieces website, including this cute sweet shop. We’re going to use it again for my niece’s birthday and then the children can play with it in their wendy house as it is a lovely, sturdy little stand. There were loads of ideas I came up with but, as it was just close family at the party and four children, I had to ditch some ideas. If it was up to Grace then we would have just had every type of candy under then sun but I did insist we had some savoury stuff too! I haven’t baked for a little while so I was excited to make a piñata cake for her. 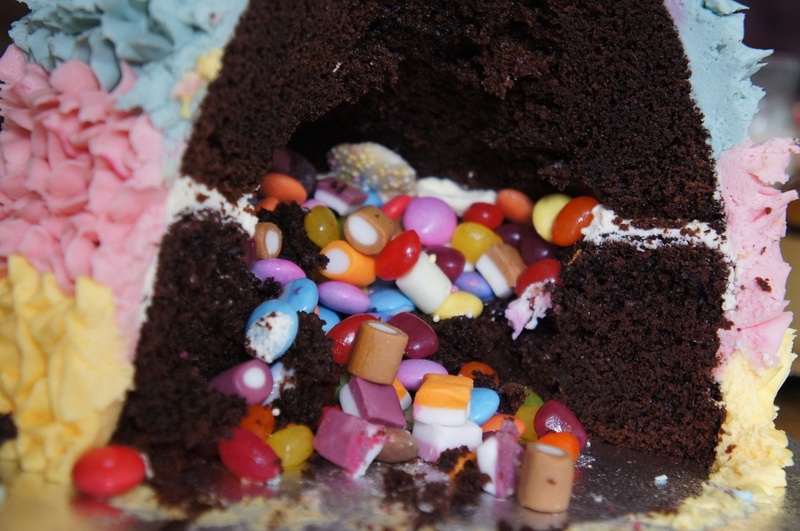 I baked a regular round chocolate fudge cake and another in my large glass jug, hollowed out a little of the inside when they were cool, filled them with sweets, sandwiched them together and decorated with rainbow piped buttercream. Simple, but effective, and impressive when Grace cut it open. 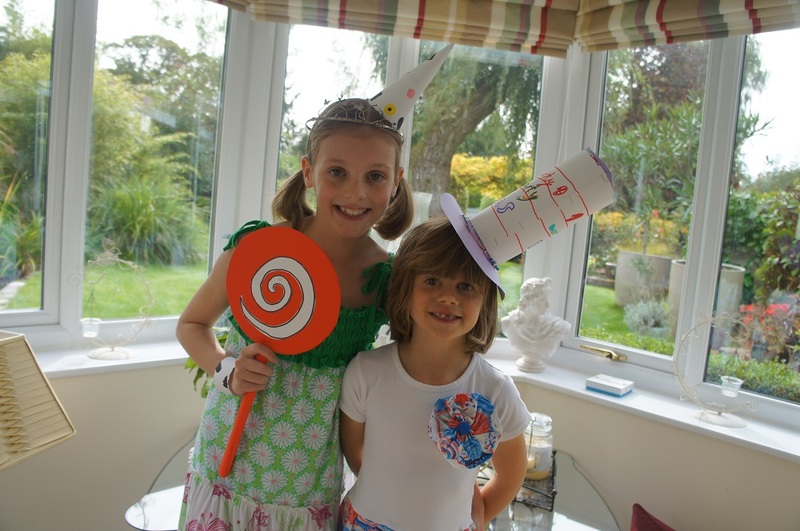 We also had some party games to keep the younger family members amused, including pin the top on the lollipop, pass the parcel, a fancy dress competition, talent show and musical statues. All in all, it was a really fun party. The sugar-fuelled children afterwards? Not so much fun!